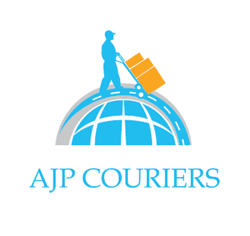 We are now thrilled to provide our same day and next day courier services on the Wirral and the surrounding areas, from both our Wrexham and Warrington bases. Situated less than 40 minutes drive from both our Wrexham and Warrington bases, we are ready and waiting to collect your urgent goods within the hour, and deliver them direct! Whether you’re one of the large manufacturers based just off the M53 motorway or a small family run business based in Neston, we treat our all of our customers with the upmost professionalism and integrity, regardless of size or regularity of work. We specialise in and offer logistical solutions for urgent, time-sensitive, high value, fragile, delicate, oversized, heavy, awkward and out of the ordinary consignments. Whether it’s a small box of urgent car parts needed at another plant, or an awkward, bulky item that needs delivering to a customer of yours, we’ve got you covered! Wherever you may be on the Wirral, one of our team of committed and punctual drivers can be with you within an hour of booking and deliver directly to the destination(s) of your choice. As well as our ‘Express Same Day’ service, we offer more flexible same day and next day services for less time critical consignments. Call either of our Wrexham or Warrington offices NOW on 01978 800192 or 01925 648148 and we will promptly dispatch a vehicle to collect your goods in less than an HOUR! Wirral is a peninsula situated in the North West of England, which is thought to have been first populated during the Mesolithic period, around 7000 BC. At Meols, New Brighton, West Kirby and Hilbre evidence found suggests that much of Wirral was occupied throughout the Bronze Age, around 1000 BC. Prior to the Roman invasion of nearby Chester, Wirral was inhabited by a Celtic tribe, the Cornovii. When the Romans founded Chester in around AD 70, it is believed that they built roads and inhabited some areas of Wirral too. Historically, Wirral was within the county of Cheshire. However, since the passing of a local Government act in 1972, only the Southern third has been in Cheshire, with the rest of Wirral being classed as Merseyside. Wirral is ideally situated with the River Dee to the West and the River Mersey to the East, providing excellent sea transport links. The first official Mersey ferry service was provided by the Benedictine monks in around 1330. In 1817, the service was upgraded thanks to new inventions of the Industrial Revolution, and so the steam ferry service across the Mersey began operating. During the Industrial Revolution, Wirral grew immensely. Steam-powered ships helped Wirral to grow during the Industrial Revolution, and in 1847 Birkenhead’s first docks and its municipal park were opened, and the town expanded rapidly. In 1840, Wirral saw the opening of its first railway, creating further links with other areas of the UK. The Sunlight soap factory and Port Sunlight garden village were opened in 1888 by William Lever, providing jobs and homes for local people. The opening of the Manchester Ship Canal created many jobs and the Mersey Railway tunnel was opened, linking Wirral and Liverpool. The first half of the 20th century saw Wirral prosper, with the ports being used for export to Africa and the Far East. An oil dock was built at Stanlow near Ellesmere Port, and in 1934 oil refining began there, which is still carried out today. During WWII, Wirral held two RAF sites, RAF West Kirby and RAF Hooton Park and a number of anti-aircraft sites to protect the docks of Birkenhead and Liverpool, which were a target for bombings during the Blitz. Despite the decline of work down the docks during the latter half of the 20th, there has been industrial development with many car manufacturers being ideally situated along the Mersey. Wirral is the home of Tranmere Rovers F.C., founded in 1884. The team currently play in the National League, and have had many successes over the years including reaching FA Cup quarter-finals in 2000, 2001 and 2004. Their home ground, Prenton Park in Birkenhead, underwent a major re-development in 1995.